CAC, One World Futbol, ACER and Chevrolet Release a New Video! September 30th 2013. Check out Coaches Across Continents brand new video which demonstrates the incredible potential for soccer, our programs and One World Futbol (OWF). This was filmed in July in Brazil with the ACER organisation which we worked with around the Confederations Cup. The new video was constructed by ESPN who are now running this as a commercial which illustrates the power of the global medium of soccer. It shows how CAC, as a partner of OWF, are able to bring their ball to life using our games all over the world. 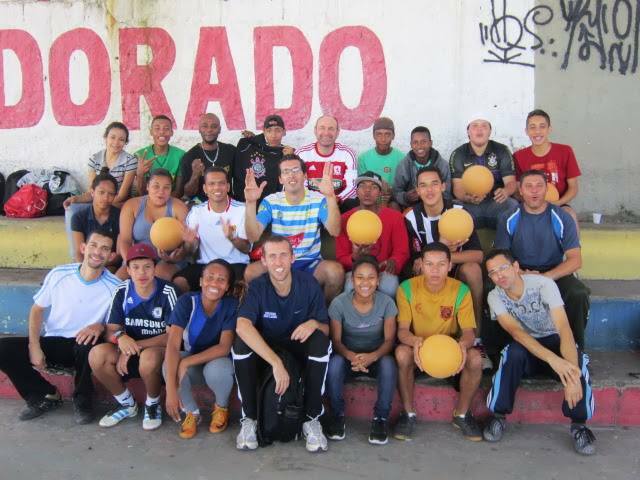 OWF’s partnership with Chevrolet has allowed communities globally to gain access to their indestructible ball. This includes ACER in Sao Paulo, Brazil who work with street children addressing education, community development and social protection. The OWF allows ACER to run soccer programs using a ball which will not burst or fall apart on their dirt fields. Coaches Across Continents are able to work with the groups such as ACER and outline how to use the ball to teach key social messages. These partnerships involving many organisations and sectors are integral to the development of soccer for social impact for children all over the world. Watch the video below, find it on our facebook, on youtube or on our videos page!